Looking for an enterprise video chat integration for internal communications? 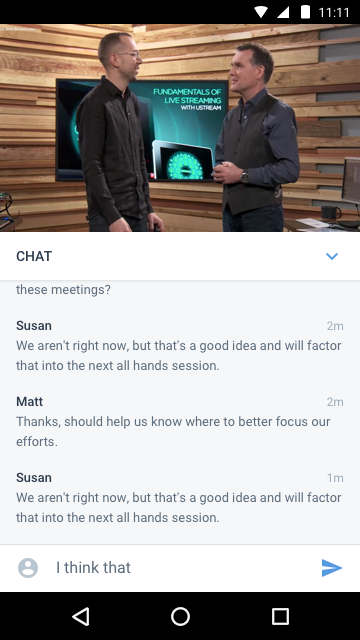 IBM Cloud Video and Ustream are launching a new chat feature for use with both Streaming Manager for Enterprise and Ustream Align. This new feature, which limits access to authorized viewers through either SSO (Single Sign-On) or email authorization, allows for viewers to engage in realtime and participate with one another while watching internal video content. This feature works with both live and on-demand content and is compatible across desktops and mobile devices, including over the IBM Cloud Video for Enterprise App. Debuting with the new chat is the Interactivity option for channels. This sub-menu controls chat functionality along with the Q&A module. Settings include being able to enable or disable these features, and all the way down to controlling moderators for both. Although the Interactivity sub-menu is visible on all types of accounts, right now the new chat is only found in IBM Cloud Video Streaming Manager for Enterprise and Ustream Align. Settings for chat include the basic functionality to control which type of chat is used. Options encompass the previously released Slack chat integration, which links the module to a Slack channel on an account, and this new chat feature, which creates a chat directly in the cloud video solution. This requires no outside accounts. It also avoids having viewers create accounts before they can participate. Users just need access to the channel through either the SSO (Single Sign On) or email verification method that is being used to secure the content. Both chat and Q&A can be enabled at the same time through this sub-option. This can give viewers an outlet to have more casual conversations around a topic while also giving them the ability to have more focused questions logged with that content as well. Like the Q&A (Question and Answer) module, moderators can be added to help manage the chat functionality. This can aid in creating a more collaborative effort from other managers or senior department personnel. For example, a senior member of the human resources team might want to help manage conversations, in the rare event that something inappropriate is said. Adding moderators to a channel is simple, and just requires that you know the email of those that need this capability. Furthermore, moderators can be removed at any time. This can be done individually, on a per moderator basis, or all moderators can be removed at the same time if needed. Viewing content, especially video, on mobile devices is exploding. Even enterprise use cases are exploding in terms of being accessed over mobile devices. In fact, viewing of enterprise streaming content from mobiles increased by almost five times higher in 2016 than in 2015. Consequently, being accessible over mobile devices is becoming increasingly important. As a result, this new chat, depending on the version of the platform used, is a non-Flash based solution. When combined with a recent push to an all HTML5 solution for the video player, barring compatibility with some legacy browsers such as certain versions of Internet Explorer, this means the video and chat solution are no longer confined to environments that support Flash technology. This is helpful in todays web ecosystem where Mozilla Firefox regularly blocks older versions of Flash, requiring end users to make sure their version is up to date, and where Google Chrome started to deemphasize Flash as well in December 2016. The more immediate benefit to this approach, though, is better compatibility over mobile devices and mobile browsers. This feature is also debuting as part of the IBM Cloud Video for Enterprise App. 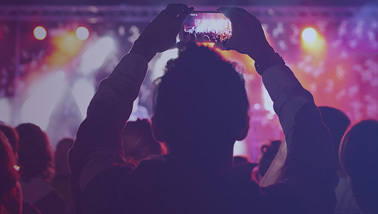 This means users can download the app, which offers convenient access to secure video, and watch live and on-demand content while participating in the chat to better engage with peers. Furthermore, all communication is in-sync as well. Comments made through the mobile app can be seen by others on a desktop and vice-a-versa. Every user who participates in the chat has their comment displayed next to their name. By default, this name will be generated from their email excluding after the @ symbol. So aromero@ibm.com would come in as ‘aromero’. 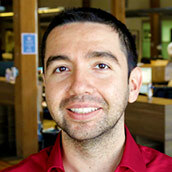 However, users can change their name at any time and add a nickname for themselves. This nickname will be synchronized across all channels on the account and across all devices. So someone who changes their nickname on a human resources channel through their phone will also have the new name reflected when they join a chat in the engineering channel on their desktop. Moderators and chat participants are able to see who is currently active through the chat. Activity is gauged by people who currently have the player and module opened. It doesn’t necessarily mean they are actively chatting, but can give other participants an idea of who might be available to respond. This view can be seen through clicking the person icon in the upper right of the chat module. This view is updated in real-time. As people join or leave the page the list of participants will be updated. Conversations occurring over the chat module are archived. These conversations are then visible to future participants. For example, if a monthly executive town hall occurs, March’s participants would be able to see what conversation took place in February’s session and even possibly January’s session. Note though that this view is limited not by duration, but rather the amount of conversation. So if in the same example February’s session was particularly active it might push off the chat history that occurred in January. In addition, the chat history is still saved even if the chat module is turned off. 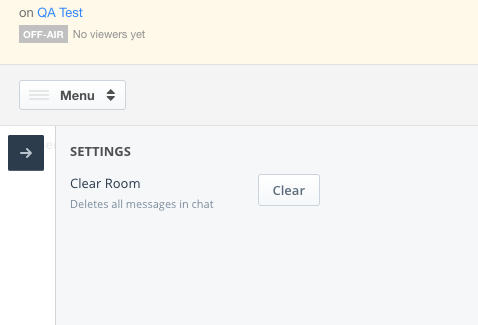 For example, going in and momentarily disabling chat for one live broadcast but then enabling it for a future session will not clear the chat history. Instead, those participants will see the last archived session when they join. All chat communication done over the module is archived as well. Even if individual posts are deleted by a moderator or the chat history is cleared, this communication is still archived for export even if not visible inside the chat anymore. Right now, to access these archives requires a manual request to the IBM Cloud Video/Ustream customer success team. However, in the future there will be cloud platform based approaches for retrieving this data. One of the big questions for enterprises around the launch of this new feature is when to use this functionality over the Q&A module. The answer to this is found in the type of engagement desired from the video content. Q&A is a great method to add additional value to an asset, live or on-demand, without having to edit the original video. For example, questions can be asked to clarify things mentioned in the video, such as asking for a deeper dive on the “how” for an engineering project. This question can then live with the asset, acting as a user generated FAQ for others to utilize and vote on to determine question importance. Chat on the other hand is a more directly collaborative type of engagement. It works best with live content, where concurrent viewers can create a more frequent level of conversation around a topic. This can take the shape of people talking about a product and its use cases during an internal product or feature debut. The strength of chat is allowing many different people to contribute, giving their own opinion and perspective within a quick timeframe. This can be especially critical for getting feedback from different departments. For example, sales might have a much different viewpoint versus someone else in marketing over the ramifications of what is being covered. Another approach can be to simply initiate a trial run of both. 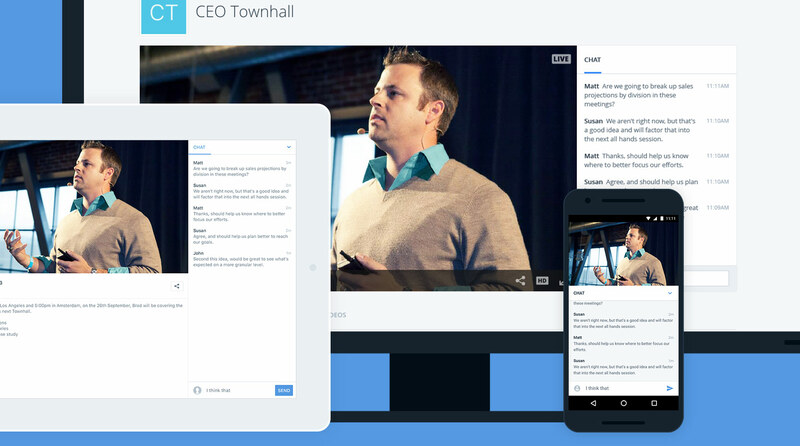 Enabling chat as well as Q&A on content and to see how your employees engage with both. You might find they prefer to use chat or have a preference for using the Q&A, and to adapt a strategy accordingly that uses the preferred engagement method. The new chat offers another way for viewers to engage with content, while presenting flexibility in terms of where they engage on that content. This includes support from desktops, mobiles, and even inside apps. Support for moderators also helps with management of this feature, offering a more collaborative experience for other senior members who might need to manage internal communication. If you are interested in an external use case for chatting alongside video content, there is an article here that talks about this feature which is slightly different. Want to try out the new chat with an IBM Cloud Video Streaming Manager for Enterprise account? Request a demo to unlock the more ways for your team to engage with each other.